Experience the excitement, history and romance of the authentic Windjammer Schooners of the last century! Spend an amazing 3-day weekend in the San Juan Islands and rendezvous with other sailing tall ships and their crews. Autumn’s stiff breezes offer amazing sailing for the 160 ft. Zodiac. Learn how to sail under the direction of expert captain and crew as we explore the beauty of the islands. Each night will be spent at a secluded anchorage where passengers have the option of kayaking or hiking and sailing the ship’s dinghy. 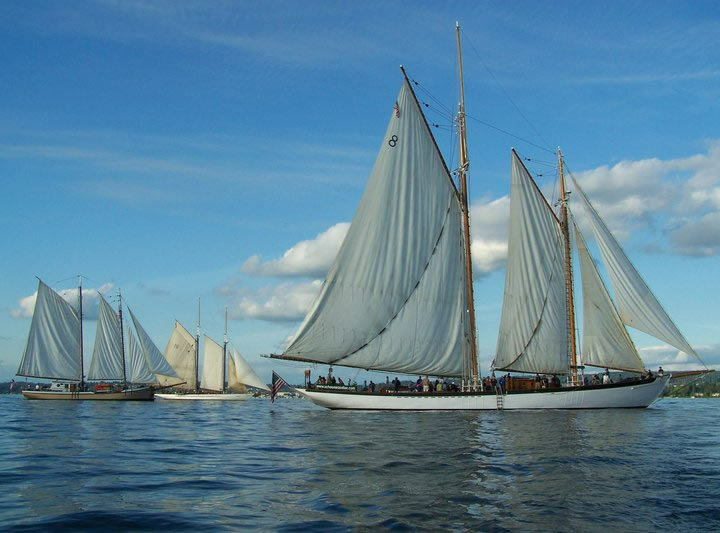 Join the Schooner Zodiac for a rendezvous with the NW Windjammer fleet! After sailing throughout the islands on Saturday, that afternoon we will encounter other members of the Northwest Windjammer fleet. The fleet will congregate and anchor at Spencer Spit on Lopez Island. While at anchor and being the largest ship in the fleet, the Zodiac will host a spaghetti pasta feed on deck for the crews and passengers of the other vessels. 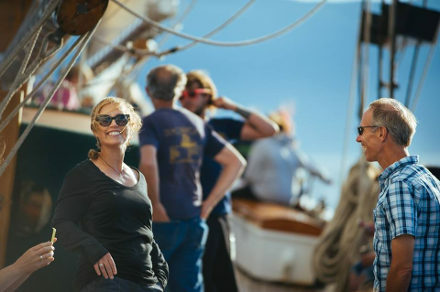 after enjoying the company of tall ship sailors from a wide range of vessels, the ships will disperse and the Zodiac will spend the next day sailing to its homeport in Bellingham.